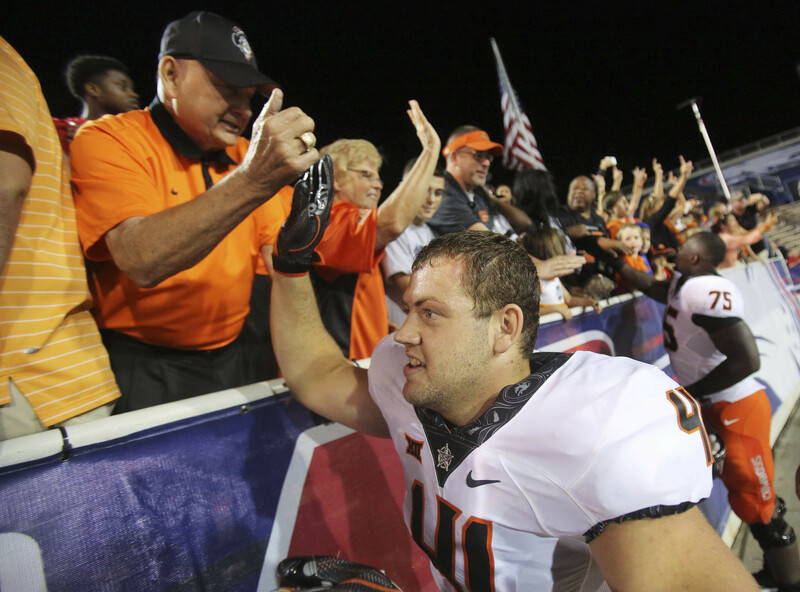 STILLWATER – Britton Abbott has been an exemplary student-athlete for the Oklahoma State football team. A year removed from being named a second-team academic All-American, the senior Cowboy back was named one of 180 semifinalists for the William V. Campbell Trophy, the National Football Foundation announced Wednesday. The award recognizes the top scholar-athlete in college football. Former OSU center Brad Lundblade was a finalist for the award last season. The NFF will announce 12-14 finalists on Oct. 31. Each one will receive an $18,000 postgraduate scholarship as a member of the 60th NFF National Scholar-Athlete class. Finalists will travel to New York City on Dec. 4 for the 61st NFF Annual Award Dinner, where the winner will be announced. The winner’s postgraduate scholarship will increase to $25,000. Candidates for the award are nominated by their schools and must be a senior or graduate student in their final year of playing eligibility, have outstanding football ability as a first-team player or significant contributor and have demonstrated strong leadership and citizenship. Also a former first-team academic All-Big 12 selection, Abbott’s role has grown into a run blocker for OSU’s offense. He hasn’t caught a pass this season, though Cowboy backs have caught only caught three altogether. Abbott and the Cowboys (3-1 overall, 0-1 Big 12) return to action at 11 a.m. Saturday against Kansas in Lawrence.